Looking for Leavers hoodies? Click here. Would you like to have clothing for school trips, clubs, teams and events with print and/or embroidery on? The most popular items are as follows, but the choice is virtually unlimited. Why Consider Trip/Club/Team/Event Garments from YourSchoolUniform.com? Here are some examples of popular print designs. Print can be black, white or a colour and may depend on the garment colour(s) selected. Names can be listed. Do you have a specific design in mind or do you need ideas? Have a chat with us. 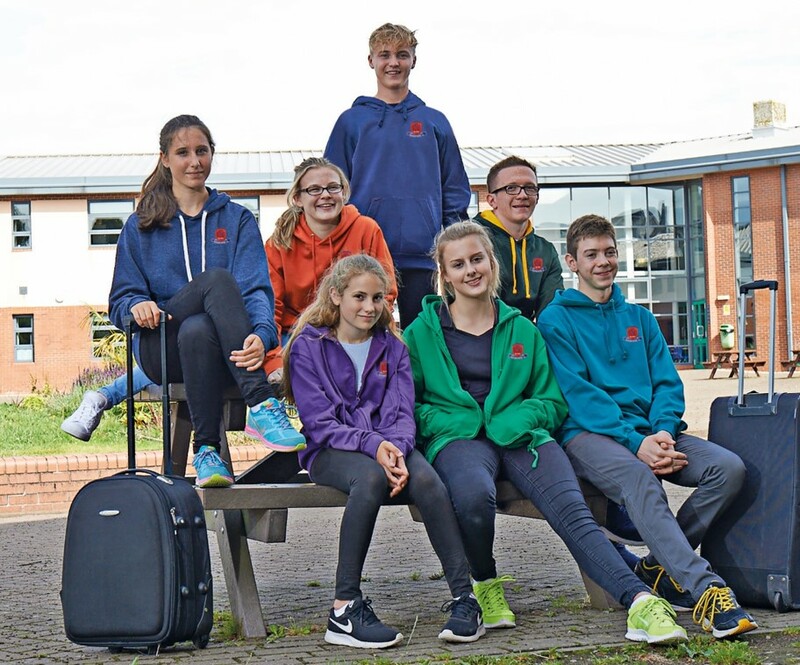 We have included a wide choice of garments in our leavers, trips, clubs, teams and events brochure so that there is something to suit all groups. Other garments are available e.g. sweatpants, onesies. Simply have an obligation-free chat with us on 01773 837377. Send us all the relevant information, such as: the names (if required), your school logo (if required), confirmation of garment type, garment colours, sizes, confirmation of chosen print design and print colour. Call us on 01773 837377 OR e-mail us at tripsandevents@yourschooluniform.com to discuss your requirements. Printing can be applied to most items. However, depending on the fabric, embroidery may be a more suitable option. Print and embroidery set-up is free of charge. 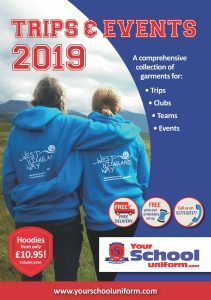 The 2019 Trips brochure has been produced to give an overview of the product range for leavers, trips, clubs, teams and events. Prices are fixed until September 2019. The range may be updated from time-to-time and other items are available. Size guides can be requested for ease of ordering. Prices are per garment and include a single print. Additional prints will incur a further charge. School badges/logos can be embroidered on the front left chest at an additional cost. Prices include design artwork and logo digitisation where required. Prices exclude V.A.T. where applicable. Bulk delivery to schools or a single address is free of charge. Minimum order quantities apply.